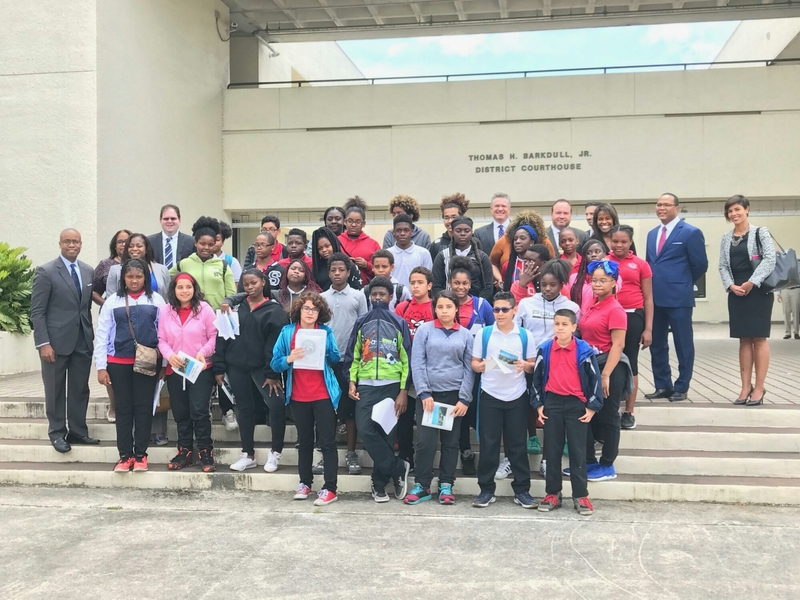 District 2 School News – The 3rd District Court of Appeals hosted our students from Brownsville Middle School’s Law Academy in commemoration of American Bar Association Law Day on May 23, 2017.. In the month of May, the law firm of Hamilton, Miller, Birthisel hosts Law Day activities with their adopted school. Thanks to Principal Ebony Dunn, administration, teachers, staff and parents for supporting this great partnership. Special Thanks to Attorney Marlon Hill for coordinating this educational and inspiring experience for our students. Go Falcons! Posted on May 24, 2017 by District 2 MDCPSPosted in School EventsTagged #HamiltonMillerBirthisel #Brownsville #BMS #District2WorkingForYou #EducationIsTheKey #EveryChildMatters #SeeYouOnTheJourney.